Thanks for your visit. I subscribe to “International Living” and have for many years. I recently received their “Retirement Index” supplement to my subscription. “For a couple: he says, ” ‘ I think if your home is paid for here you can live a very nice lifestyle on $1500 a month. The more you have above this, the more luxury you will have, remember your property taxes (mine have always been under $99) , and you will likely save on utilities given the temperate climate, and the lack of crazy weather… no hurricanes, typhoons, floods, or major earthquakes means you don’t need to insure against weather disasters. Best of all, Mexico offers a retirement discount program that offers all foreign residents some very nice discounts. As a published author, a blogger, Buyers Only Realtor and resident/citizen of Mexico I could not be happier that the popular International Living magazine has now quoted me a second time as I share my love for Lake Chapala with the world. But even better, is to help you discover Lake Chapala in person with you when you visit our area. 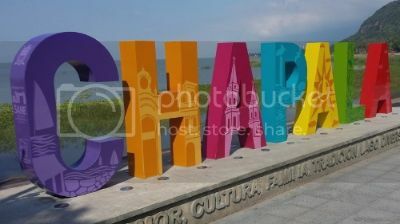 E Mail me about my services when you are planning a “check us out trip” here to Lake Chapala. Hi Sid! I was wondering about internet access. I have been spoiled with wireless internet access and now most of my equipment is set up for it. Is wireless Internet available in the area?